Siam Natural Organically Cultivated Testosterone Booster has men everywhere stimulated ~ naturally! A person's bloodstream contains two types of testosterone: bonded testosterone and free testosterone. 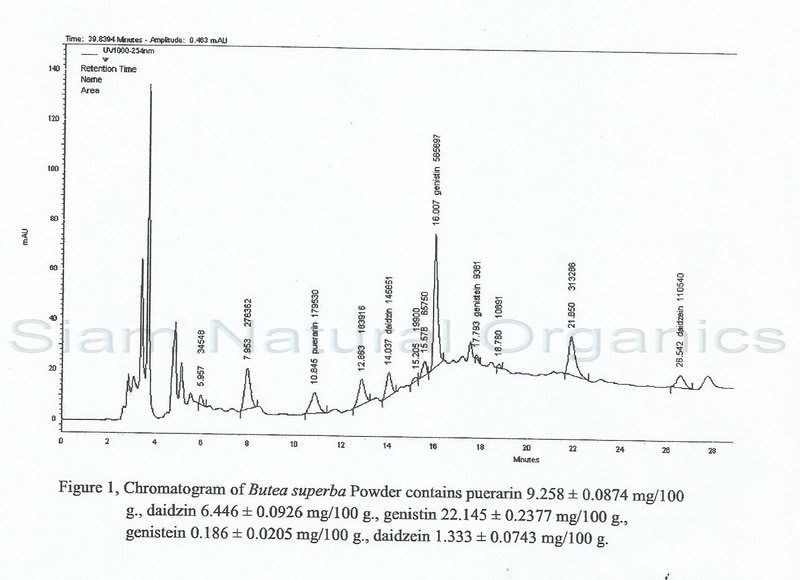 Bonded testosterone attaches to molecules in the body and is mostly ineffective. However, free testosterone can enter your cells easily and plays a vital role in strength, stamina, and vitality all of which are important to men. 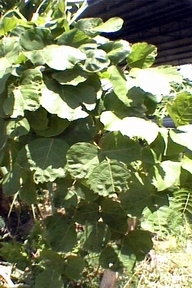 Butea superba has been a folk remedy among rural Thai men for generations. Known to boost free testosterone levels that improve physical performance and strength, increase drive, and aid in recovery. 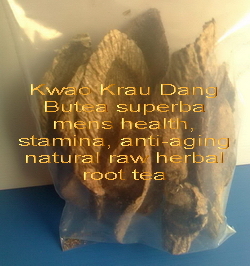 Kwao Krua Dang has no harmful side effects, is organically cultivated in Thailand under Good Manufacturing Practices (GMP), and has been shown to deliver improvements in energy, strength, stamina, libido and endurance in as little as three months use.. This isn't product hype delivered by a know-it-all enthusiast from the gym. According to studies, the results from Butea superba are nothing short of spectacular. From greater muscle definition and quicker recovery times, to increased feelings of alertness and improved endurance, these users are reporting virtual transformations as a result of safely boosting their free testosterone with Siam Natural Butea superba. Siam Natural is the top selling mens vitality brand product and contains safe and natural complex of phyto-chemicals that can help augment the benefits of a healthy diet and exercise revitalizing your system to more youthful days. 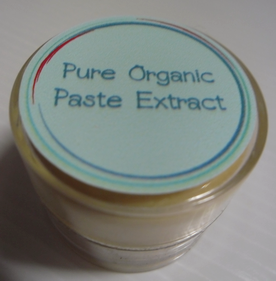 What do our customers say about our organically cultivated high grade strain of Butea superba? Siam Natural  Nice SPICE MIST  Men's 100% Super Natural Organic Anti-aging Face Conditioner wrinkle prevention nano spray after lotion replacement for men. regular $99.95 50ml Spray dispenser Now $59.99 + $8.00 shipping/handling. 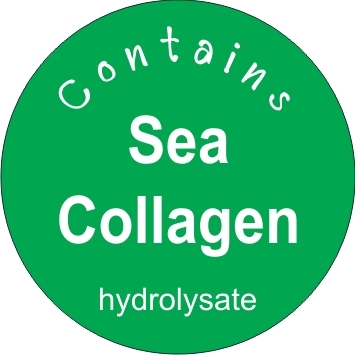 Contains 7 natural organic herbal extracts plus Sea Collagen hydrolysate. 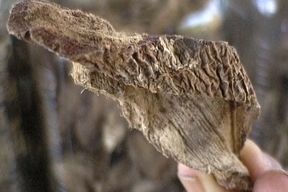 Khun Samron, Certified Thai Herbalist cultivates & harvests organic Kwao Krua (Pueraria mirifica & Butea superba root tubers) and several other Asian botanicals on his 800 rai (300 acre) herbal farm near the Burma Border. 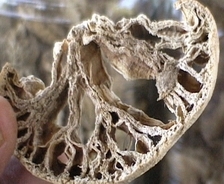 He recommends use of fresh Kwao Krua herbs "in modest amounts" in their natural form (both white root & red root) brewed into a tea twice a day as a health supplement treatment. 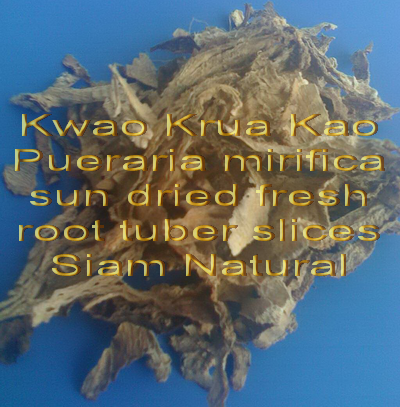 Men benefit more from the red root, Kwao Krua Dang (Butea superba)and women benefit from the white root, Kwao Krua Kao (Pueraria mirifica) and red root as well. (both female and male hormone boosting/replenishing) This is assuming that one wishes to gain the full benefits of health/longivity rejuvenation and the additional libido/stamina and cosmetic 'enhancements' produced by these natural root bulb tuber herbs. 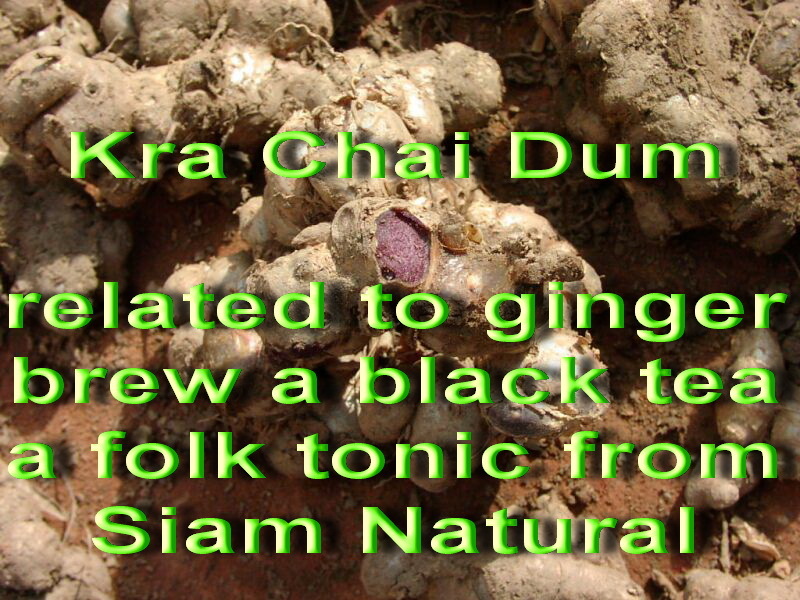 brew an incredible life sustaining and health rejuvenating organic Krachai Dum black ginger herbal tea for improved hhealth and vitality! Siam Natural  herbal holistic health compound supplements offer anti-aging, overall health rejuvenation, and organic face & skin care properties.